Today we’ve got a quirky, and unknown to many, stitch for you. The Seed stitch! A stitch whose flat texture makes it perfect for those who want to make a light and loose garment. The pattern that you get, really reminds us of neatly plowed and sown field. In fact, we love it because it makes us feel like we’ve stepped into the farming world of our grandparents’ in our wonderful Tuscany. To create an interesting contrast, we decided to combine this country styled stitch with Hokusai, our stylish alpaca and viscose yarn. What can we make with this stitch and this yarn together, you ask? Well, we think it’s perfect for a maxi blanket to have handy on the sofa for those long afternoons or cool evenings. The Seed stitch is done on a multiple of 4 + 3 stitches. This is a close up of what the stitch looks like. 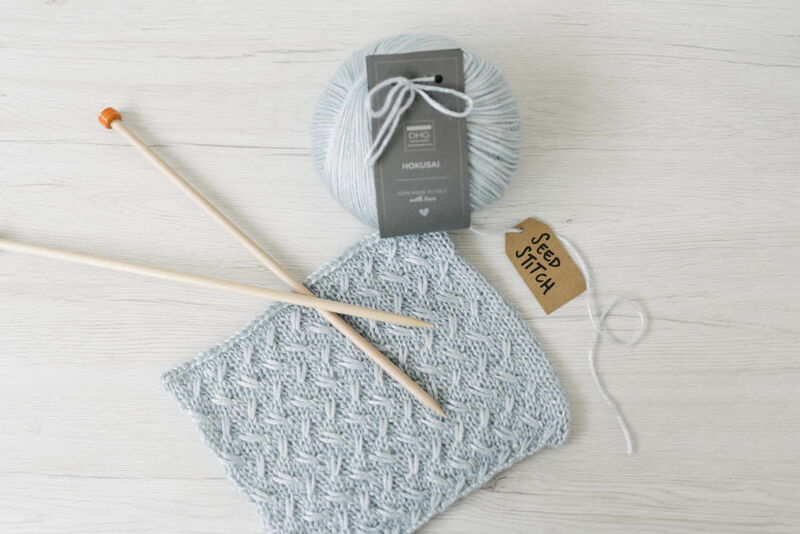 If you liked the knitted Seed stitch and you’d like to learn some other ones for your knitting projects, then simply go onto our blog and look for all the ones that have been published to now. 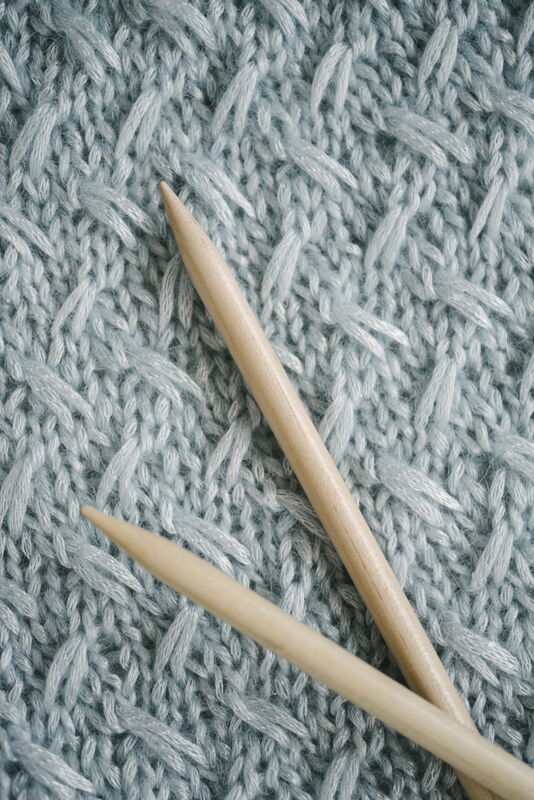 In the meantime I recommend the one on how to kint the herringbone stitch. Easy-peasy!